Spring is in full swing and the Summer is just a few months away. For sneakerheads and the general consumer, this means that bright vibrant colors will finally be fashionable again. To celebrate this fact, shoe companies have been revealing some exciting new colorways of already established lines. Adidas is taking full advantage of this trend with a brand new colorway of the ZX 500 RM, a sleek looking runner that comes with a comfortable Boost midsole. 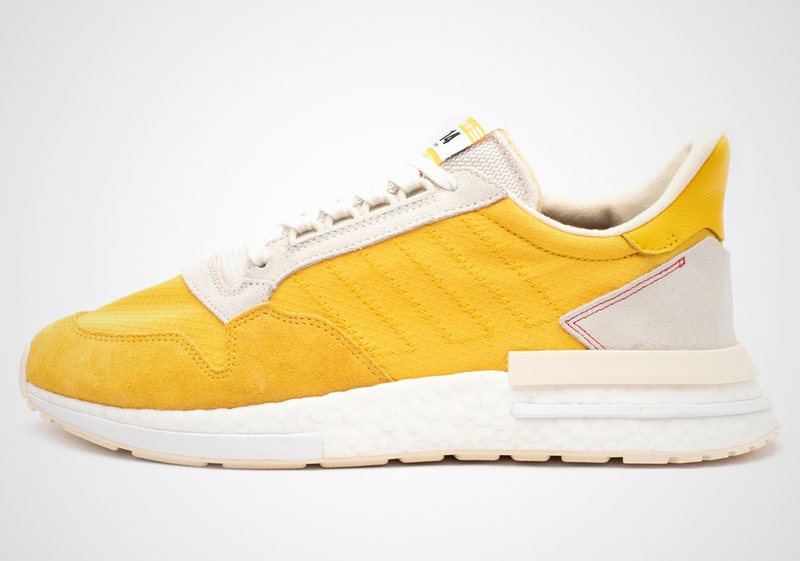 This particular colorway is dressed in a taxi-cab yellow that is found on the nylon and suede upper. 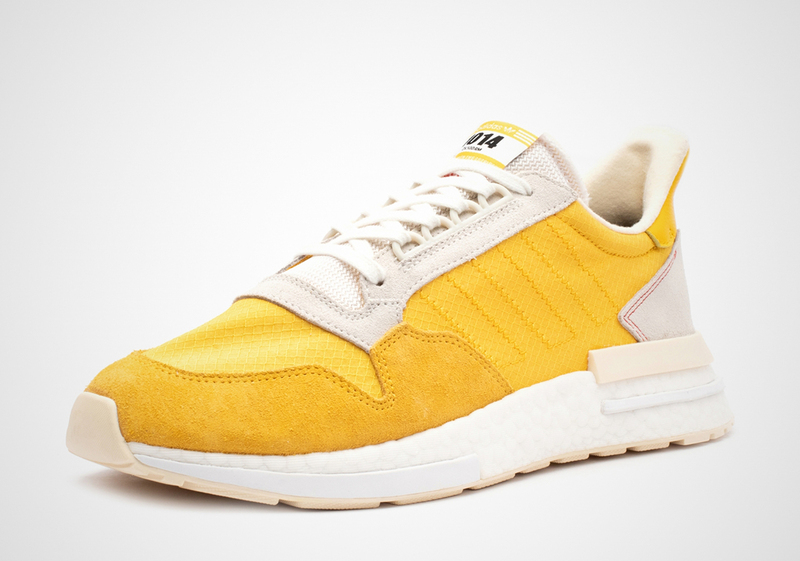 In many ways, this shoe resembles the Iniki runner, although there are some fairly obvious tweaks to the silhouette. Meanwhile, the Boost midsole is white and some NMD-inspired bricks near the front and back. White mesh is found on the tongue, while beige suede surrounds it. A patch of beige suede is on the back heel of the sneaker. If you're looking to cop these, the release date should be announced in the coming weeks. According to Sneaker News, they will cost $140 USD.